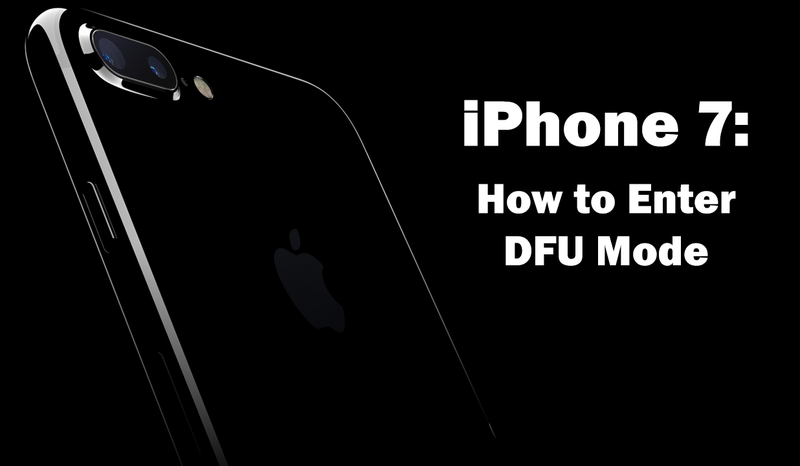 With the removal of a physical home button in favour of a pressure sensitive one, the process for getting into DFU mode on the iPhone 7, and all iPhone henceforth, is slightly different than on devices with the physical home button. For those who are unaware, DFU mode is used to basically force the device into recovery mode. By doing this you can restore a device even if it is passcode locked. It was also used for almost all jailbreaks up until iOS 7. While it will likely never be needed for a jailbreak again, it is still a very useful tool for fixing some issues that can occur. So how is it different from entering DFU mode on any other device? Well since there is no longer a physical home button, all pressure input to the new home button is only detected when the device is booted. Therefore another physical button must be used instead. The process for entering DFU mode is practically identical except you use the volume down button instead of the home button. Ensure you have the latest version of iTunes installed on your Mac or Windows PC. Also make sure you have plugged your device into that computer using the lightning cable provided. Power off your iPhone like you normally would by holding down the power button until the slider appears, then slide to power down the device. When the device is off, press and hold the power button on the side of the device for about 3 seconds. While continuing to hold the power button, begin to press and hold the volume down button on the other side of the device. Keep holding these two buttons for about 10 seconds. Once about 10 seconds has passed the screen should have turned black. At this point release the power button but keep holding the volume down button for another 5 seconds. When the device is in DFU mode, iTunes should detect a device in recovery mode. Your device is now in DFU mode! To get the device out of DFU mode simply hold the power and volume down buttons until it begins to boot.